MapInfo Pro Standard lets you import your XY data in Excel, ASCII, or database formats. 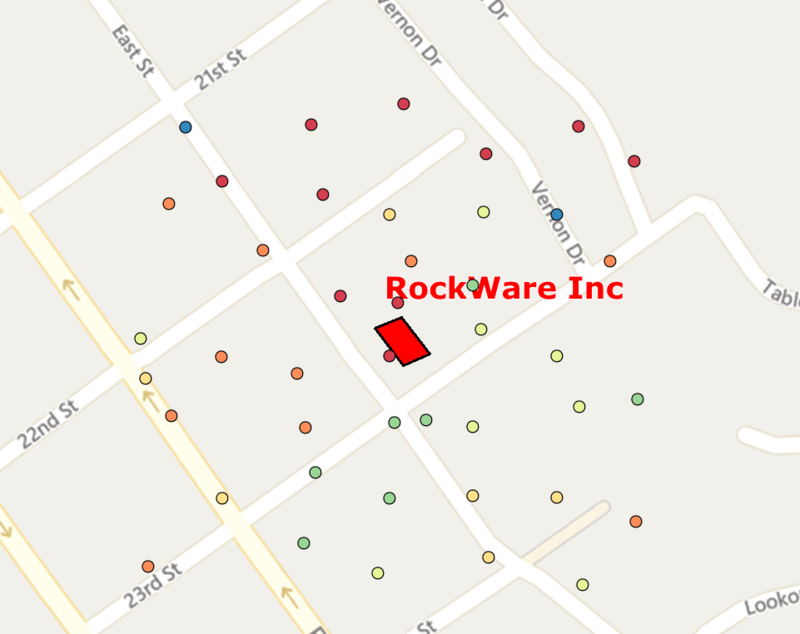 It displays the data on a blank background, or on a base map that you provide or a Bing Air Photo map with optional street and city annotations. If you don’t have XY coordinates for your address or zip code points, use the built in Geocode features to assign coordinates. Add a Theme to display color fills for points lines or polygons based on the values within a data column. 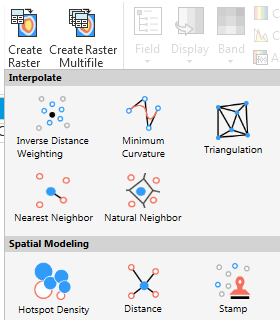 Draw your own region boundaries, import them from another file format, or purchase boundaries and data. MapInfo Pro Premium adds the ability to create a Bing Street map with street and city annotations. The air photo and hybrid maps in MapInfo Pro Standard can be lightened to better display foreground data by changing the Translucency of a layer. To use a less cluttered background, use the MapInfo Pro Premium Bing Roads layer. 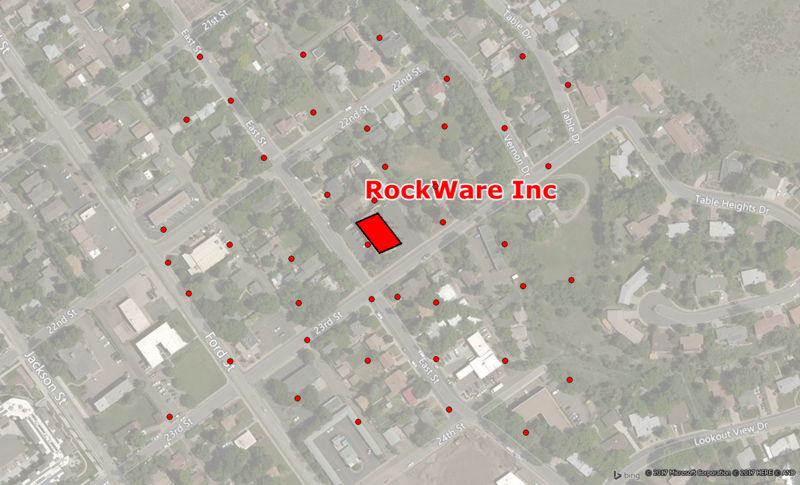 Post XY data points from Excel or text files, or use geocoding to match to street addresses or zip codes. Add MapInfo Pro Premium to display Bing roads in the background without air photo coverage. Color code points by applying a Theme and specifying a column with values. MapInfo Pro Advanced adds the ability to use Raster data sets of imagery and gridded XYZ data to display heat maps and other information. Work with huge data sets spanning the globe with multiple resolution tiles for more detail when you zoom in. Create gridded raster files from multiple data sources including large LiDAR data files. 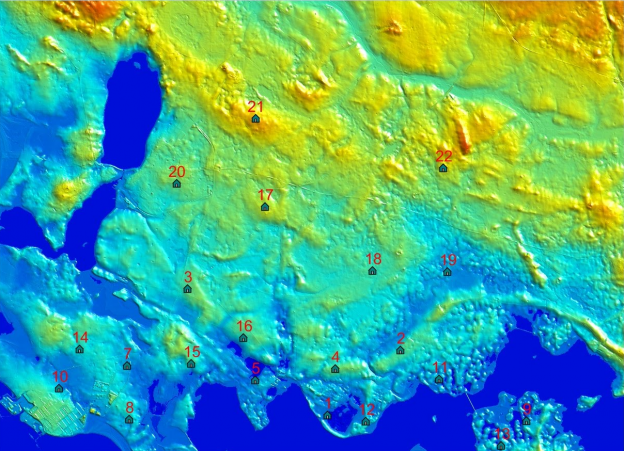 Use different grid interpolation methods to create a raster grid from scattered data sets. Use Line-of-Sight analysis to take terrain and elevation into account when scouting sites for cell towers, radio transmissions, and other broadcast applications. If you’re working with drillholes and other geologic datasets, add the Discover 2D and Discover 3D bundles for more features. Discover 2D bundle adds the ability to plot borehole data and surface maps. Discover 3D bundle adds the ability to display boreholes and subsurface information in 3D. This entry was posted on June 26, 2017 by Tom Bresnahan.